Her place, located at the exclusive Montserrat neighborhood, is made up of five bedrooms, six and a half bathrooms, a cinema, a gameroom, a saltwater pool, a golf course, a basketball court, a tennis court, an outdoor kitchen, and a huuuge garage—how huge? Well, it can hold up to eight cars! Check out that pool that's seriously perfect for the summer! Huhu, we're dying to take a dip. This area is perfect for those lazy nights when you just want to stay in bed with your friends. There's also a tennis court and a golf course where you can stay active in case you're tired of being indoors. Woohoo! 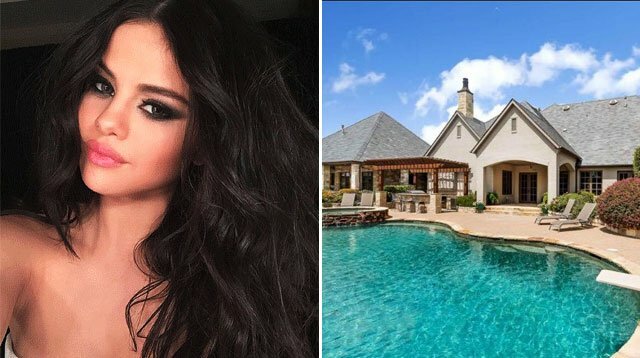 Take us home with you, Sel, before you sell this home to someone!